We hope you'll enjoy this short video, in which Rick Heller, author of Secular Meditation offers insight into accessible meditation methods without that are free of religious trappings. We also invite you to subscribe to New World Library's YouTube Channel for immediate access to the latest author interviews, book trailers, and more. A woman’s spiritual life is an evolution. She must build it herself. Stepping onto the feminine spiritual path feels very much like wandering into a magical forest. There’s no clearly paved road. The circumstances of our lives guide us. We find our way through trusting what we’re drawn to. MY OLD DOG CONTEST — Enter to Win! “No Dog Should Die Alone” was the heart-stirring headline of journalist Laura T. Coffey’s article for TODAY.com, the website of NBC’s TODAY show, about photographer Lori Fusaro’s work with senior shelter pets. 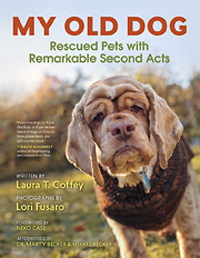 The story got so much attention that the two dog enthusiasts went on to collaborate on the new book My Old Dog: Rescued Pets with Remarkable Second Acts, a heartwarming collection of tales of rescued senior dogs told through wonderfully evocative photographs and storytelling. 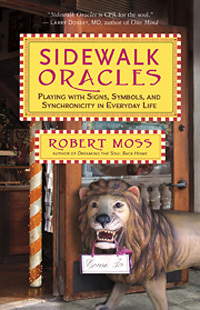 talks about how women can nurture and connect deeply with their inner feminine power. We also invite you to subscribe to New World Library's YouTube Channel for immediate access to the latest author interviews, book trailers, and more.